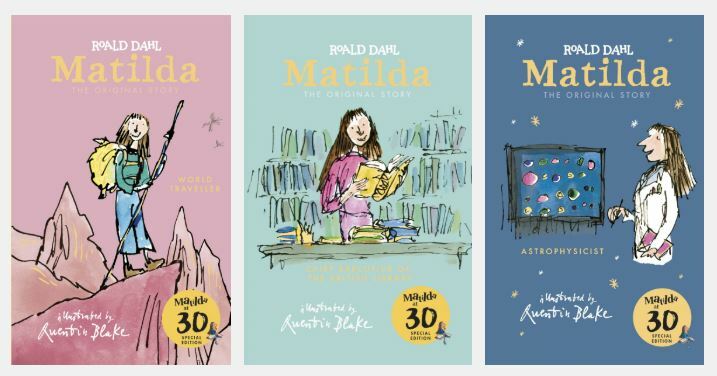 On October 1st 2018 Roald Dahl’s Matilda turns 30 and to celebrate her birthday original illustrator Quentin Blake has created 8 brand new illustrations to represent where the plucky book-lover could be today. 30 years after her first publication Quentin Blake has imagined her as an astrophysicist, a world traveller and as chief executive of the British Library. These three illustrations will be featured on brand new hardback editions of Matilda that will be available from 1st October 2018 from Puffin Books. In his foreword to the new editions, Blake said “Since, as a small child, Matilda was gifted in several ways, it wasn’t very difficult. I imagined that for each version of our grown-up Matilda one of her extraordinary talents and achievements would have come to the fore and shown her a role in life,” he writes. The combined power of the book, movie and the musical has made Matilda an iconic childhood hero for multiple generations and it’s wonderful to see what paths she could have taken. These are only 3 of the 8 illustrations that Quentin Blake has created so I’m looking forward to what the others include. 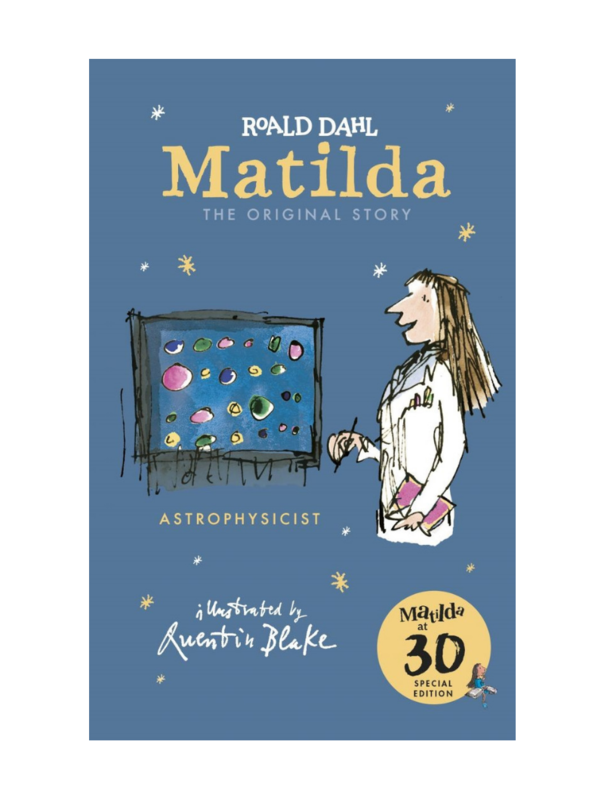 Pre-order your copy of Matilda at 30 now. If you like this then you’ll love my review of Roald Dahl’s Skin & Other Stories.